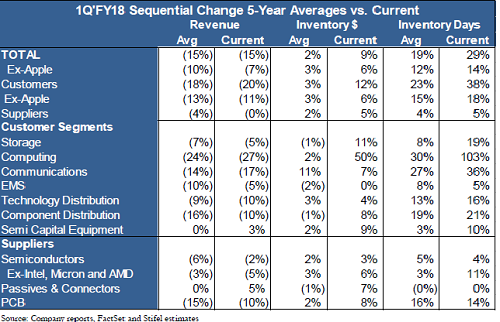 Stifel’s Sheerin said he expects inventory levels to continue to remain elevated for Q2 2018, as well as the remainder of the second half of the year, due to continued supply constraints — particularly for specialty and discrete semiconductors and memory. This is supported by generally solid end demand across most end markets. Find electronic components, go to Allchips electronic components supply chain platform.